Throughout the nation, January brought an abounding amount of stress to federal employees and contractors. Over 1.8 million Americans were denied pay and left out of work, 1 million of which are contractors who will not be seeing back pay. 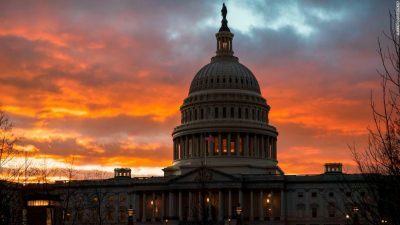 After rewriting history by setting a new record for the longest U.S. government shutdown ever at 35 days, President Donald Trump accepted essentially the same deal Congress had offered one month prior. “I will make sure all employees receive their back pay very quickly,” Trump said during his Rose Garden Speech. On Jan. 25, 2018, President Trump assured the nation that the government would be re-opened with a prospect of another shutdown Feb. 15, 2018. The next shutdown is still slated to occur if funding for the wall isn’t declared within the next two weeks. The president also affirmed that if Congress doesn’t fund the wall he will declare a national emergency. By doing so, he will also attempt to gain emergency powers allowing him to take authority not granted to him before. 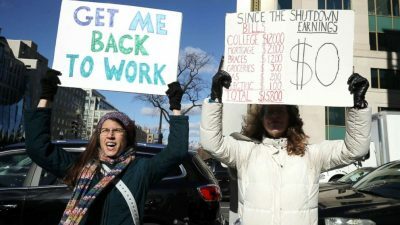 Federal workers were out of work for the duration of the shutdown, 380,000 being furloughed meaning they were legally barred from going to their jobs at all. Still, an additional 420,000 essential federal employees, such as air traffic controllers and FBI agents, worked on IOU’s from the government. None of them had any idea how long the shutdown would take or when their next paycheck would arrive. In an interview Cain Live had with ICE agent Juan Carranza, he was able to explain the effects of the shutdown. Carranza works with for Immigration and Customs Enforcement as a special agent. Since ICE is a branch of the Department of Homeland Security, employees were left without pay for weeks. Many employees are just now getting their paychecks, a week after the government re-opened.